"Photography Essentials by David Noton"
Probably because I have been on holiday with my wife (or so she thought - actually I was catching up with the reading I had promised myself and trying out a new lens), my recent Better Photographs Blogs have been about some of these books. It contains so many inspiring thoughts and images that I had difficulty in putting it down, even at cocktail hour! The book stands apart from all the others in this field that I have read because David provides a comprehensive insight to his approach before, during and after each of the 100 images in the 10 chapters. One of his remarks "failing to plan is planning to fail' could not be more appropriate and the way in which he describes how to visualize, plan and execute each image is bound to help anyone who reads it and wants to improve - irrespective of their current standard. Underlining the truth that it's the photographer and not the camera that makes the difference between a mediocre and a great photograph, David communicates the essentials in a straightforward way which can only help to bring out and enhance the artistic potential in all of us. What I also find very appealing is David's modesty, not just in his style of teaching but in the way he discloses the fact that he also continues to learn the craft and pushes himself to new challenges. Chapter 3 in the book reveals his diversion into wildlife photography whilst in South Africa. His collection of images taken there stack up very well within their genre. 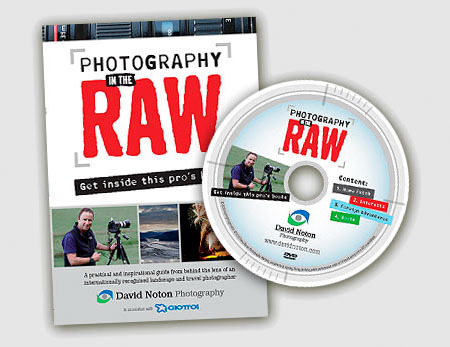 If you want to supplement the lessons learned from Full Frame or if your preferred form of learning is by video then take a look at the clips on David Noton's website. Owning his videos is like attending his workshops, but comes a little cheaper. 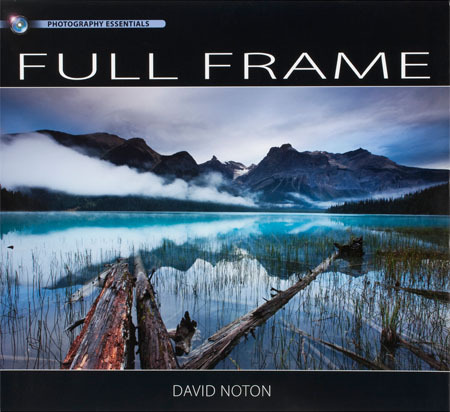 As with the Book "Full Frame", David visits some of his favorite locations to capture images which reflect the essence of each place. Yet again, he discusses the need for careful planning if a quality image is to be obtained. Once the composition is determined, he will visit and revisit the site as many times as is needed until the light is just right. When all the essential ingredients come together he will take a variety of shots with different lenses; sometimes taking a sequence so as to stitch them into a panorama. He has even "shelved" his Panoramic Film Camera because he now finds digital cameras and stitching software to be at least as good. If there is one thing that really stands out in my mind, it is that David demonstrates that we do not have to incur the expense of travelling to far flung lands to achieve stunning landscape photographs. The chapter on "Home Patch" shows just how important and beneficial it is to visit and learn from the many photo opportunities within our own county. 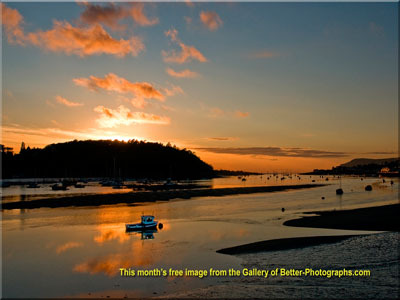 I'm now torn between working on the backlog of articles which awaited my return from holiday and putting on the boots and getting out there with my camera to put David's invaluable tuition into practice.